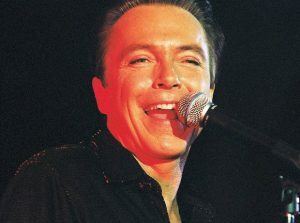 David Cassidy was born on April 12, 1950. He is now a retired American actor, singer, songwriter, and guitarist. 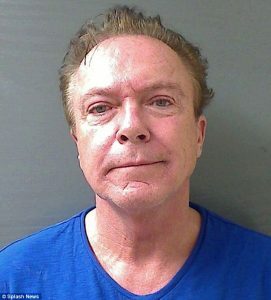 He is widely known for his role as Keith Partridge in the 1970s musical-sitcom The Partridge Family, which led to his becoming one of pop culture’s most celebrated teen idols and pop singers of the 1970s. He has since had a career in both acting and music. On January 2, 1969, Cassidy made his professional debut in the Broadway musical The Fig Leaves Are Falling. It closed after four performances, but a casting director saw the show and asked Cassidy to make a screen test. In 1969, he moved to Los Angeles. 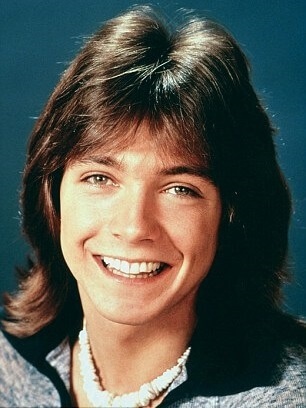 After signing with Universal Studios in 1969, David Cassidy was featured in episodes of the TV series Ironside, Marcus Welby, M.D., Adam-12, and Bonanza. In 1970, he took the part of Keith Partridge, son of Shirley Partridge, who was played by his real stepmother and series’ lead, Shirley Jones. The Partridge Family series creator Bernard Slade and producers Paul Junger Witt and Robert “Bob” Claver did not care whether Cassidy could sing, knowing only that his androgynous good looks would guarantee success. Shortly after production began, though, Cassidy convinced music producer Wes Farrell that he was good enough and he was promoted to lead singer for the show’s recordings. Once “I Think I Love You” became a hit, Cassidy began work on solo albums, as well. Within the first year, he had produced his own single, “Cherish” which reached number nine in the United States, number two in the United Kingdom, and number one in Australia and New Zealand. He began tours that featured Partridge tunes and his own hits. Though he strove to become a respected rock musician along the lines of Mick Jagger or Alice Cooper, his channel to stardom launched him into the ranks of teen idol, a brand he loathed until much later in life, when he managed to come to terms with his bubblegum pop beginnings. David Cassidy’s first wife was actress Kay Lenz, whom he married on April 3, 1977 and divorced on December 28, 1983. His second wife was horse breeder Meryl Tanz, whom he married in 1984. They met in 1974 at a Lexington, Kentucky, horse sale. This marriage ended in 1985-1986. He has a daughter, actress Katie Cassidy, born in 1986, from a relationship with Sherry Williams Benedon. onfirmed that the couple was separated, with Shifrin filing for divorce in February 2014. Cassidy has lived in Fort Lauderdale, Florida, since 2002. He filed for bankruptcy in 2015. In 2008, Cassidy publicly admitted he had an alcohol problem. He was arrested for driving under the influence in Florida on November 3, 2010, and was arrested for DUI a second time in Schodack, New York, in the early hours of August 21, 2013. He was pulled over after failing to dim his headlights as he passed a police car going in the opposite direction. After performing poorly on a field sobriety test, Cassidy was subjected to an alcohol breath test, returning a blood alcohol level of 0.10%, which is above the New York legal limit of 0.08%. The arresting officer, named Tom Jones, reported that Cassidy was polite and courteous, and jokingly asked officer Jones “What’s New Pussycat?” in reference to the 1965 hit song by the singer Tom Jones. Cassidy was subsequently charged, taken to jail, and released several hours later on $2,500 bail. He faced felony charges because of his prior DUI in Florida in 2010. On May 12, 2015, Cassidy was sentenced, on the charge of driving while intoxicated from 2013 in New York, to community service, a fine, and other consequences, including a suspended license for six months. Cassidy was arrested on suspicion of DUI in California on January 10, 2014, after he made an illegal right turn against a red light. He was held overnight in jail. In that case, he was ordered to go to inpatient rehabilitation and was put on probation for five years. Cassidy announced on February 20, 2017, that he is living with dementia. He said he would retire from performing in 2017. On February 20, 2017, Cassidy announced that he was living with non-Alzheimer’s dementia, the condition that his mother suffered from at the end of her life. He retired from performing in early 2017 when the condition became noticeable during a performance in which he forgot lyrics and otherwise struggled. On November 18, 2017, it was announced that Cassidy had been hospitalized suffering from liver and kidney failure, and was critically ill in a medically induced coma. He was out of the coma two days later, but remained in critical but stable condition, with doctors hoping to keep him stable until a liver became available for transplant. Cassidy died on November 21, 2017, aged 67.